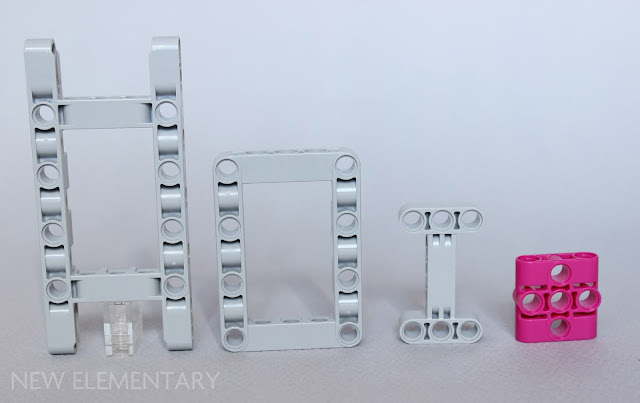 Today we reveal a surprising discovery made by reader Victor P. who got in touch with us when he discovered a new LEGO® part for sale that isn't in any sets. I am myself ‘guilty’ of having placed an order on Bricks & Pieces in early March, and made a quite surprising discovery: a part which is not listed on BrickLink, nor on Brickset, and which doesn’t come in any set that I know of. A ghost part, I may say. Its official name is Connector Beam 1x3x3. Nothing too surprising here; it’s quite simple and describes the part accurately. What is more surprising is its colour, Bright Reddish Violet [TLG]/ Magenta [BL]. What kind of set could hold such a singular element ? 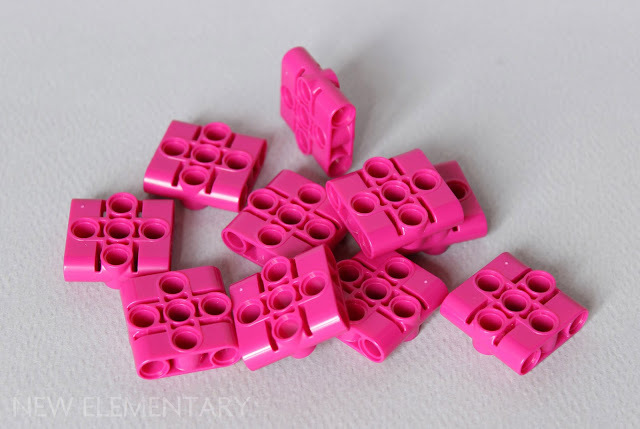 When it comes to connection points, this part is all about pin holes! Five of them make a cross, and the four other ones, placed perpendicularly, complete the squares. That means you can attach parts in only two directions. The part is a bit of a blend between Technic frames and connectors, and thus can be compared with existing Technic structural elements. Its shape is also reminiscent of another special Technic part, the Power Functions L Motor. 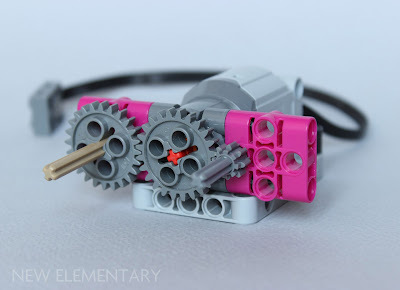 Connecting several connector beams to the motor can give it a lot of extra attachment points, either to attach gears, or to secure it in a build. I noticed it was also a perfect fit for the big turntables, and while I didn’t have any of the newer kind available, I could use the older mould, which can be easily turned into a planetary gear. 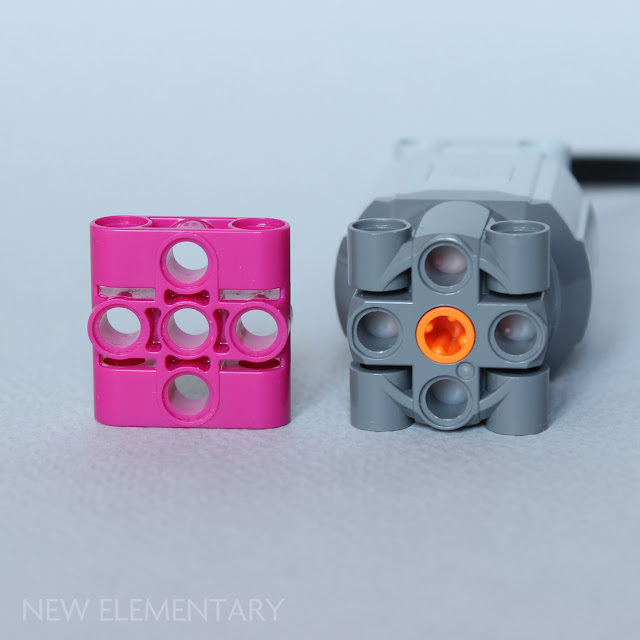 Of course, Technic builders have been using the old turntable in such a way for years, but the new connector beam makes it much easier and sturdier. Thanks to our 'Vibrant Coral' patrons: Kevin Gascoigne, Sue Ann Barber & Trevor Clark, Nick Savage, Beyond the Brick, Antonio Serra and our latest: Neil Crosby. You're all awesome! All content represents the opinions of New Elementary authors and not the LEGO Group. All text and images are © New Elementary unless otherwise attributed. I want to believe this, it's an awesome and incredibly useful part! Do you know its design ID? I doubt that would be an existing number, but if it is, it won't be for this supposed piece. 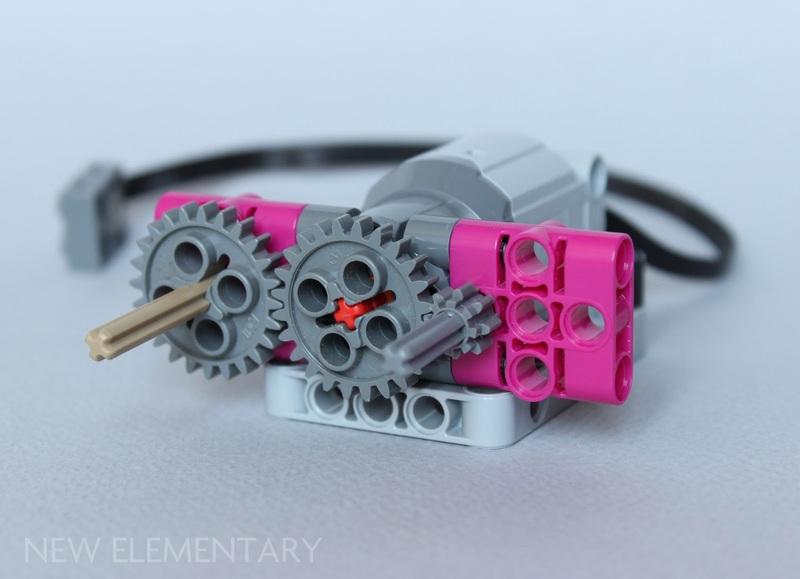 Hopefully this element come out of the Technic Friends sub-Theme. there's no chance that the friends team had budget allocated to create a new element for technic. 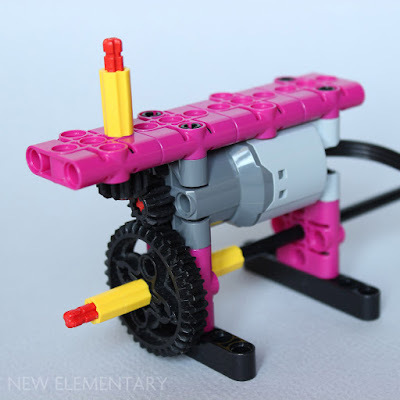 I think the only two possibilities is that it's coming out in a magenta technic set (please god), or it was created for a large technic set that's taking a while to be released, and a tiny set with a faster design process ended up using it first, in magenta. Pretty cool part. Would love to see it in a real set. Glad you enjoyed reading it, soon you can also enjoy using the part! Was skeptical from the beginning. No ID, no LEGO. Oh yeah, it would be beieveable if they had the ID. 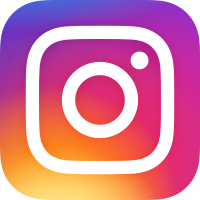 This must be a knockoff piece produced in Magenta. Sweet. And I see it comes in black, too. Yep, it's 6252656. Who wants to bet it'll be included in the LEGO Education set(s) teased to be announced tomorrow? This isn't the only mysterious new piece. Check out "BRICK 2X4 W/ CROSS HOLE," Design ID# 39789. If only this was real... although maybe not in Magenta.